This is finally the full album (preceded by a teaser EP), which presents one of the best Polish Jazz pianists Kuba Stankiewicz playing his interpretations of music written by the great Polish contemporary Classical and Cinematic music composer Wojciech Kilar. The music is performed on solo piano, the most "naked" of all formats but also the most unlimited one. Kilar, who is unfortunately less know outside of Poland than his contemporaries like Krzysztof Penderecki, Henryk Gorecki or Witold Lutoslawski, is by no means less important and neither is his wonderful musical legacy. His work as a composer of film scores is truly legendary and his music accompanies over 100 films by all major Polish directors, like Roman Polanski and Andrzej Wajda, and also those beyond Poland, both in Europe and the US (for example Francis Ford Coppola). Although a modernist, Kilar's music is full of romanticism and lyricism, and his sublime sense of melody is second to none. This album includes twelve compositions by Kilar, ten of which are from film scores and the remaining two from TV serials. 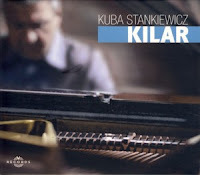 Stankiewicz treats Kilar's music with a lot of respect and obvious love. The relaxed and delicate interpretations are full of charming moments, where the improvisations move out and return to the melodic theme. Stankiewicz has a wonderful touch on the piano, which sounds full-bodied and expressive even at a low volume. The overall effect is simply delightful. I especially admire the pianist's humility and modesty which are the predominant features of his approach to the music. He firmly leaves the focus on the amazing compositions, taking only very limited liberties with the original notes and making his personal input subtly concealed, exposed only to the sensitive listener. Contrary to many other Jazz pianists, who often like to dominate their interpretations of other composers' music with their own statements, Stankiewicz simply serves as a vessel bringing Kilar's music to a new audience. Following decades of Polish Jazz musicians obsessively interpreting the music of Frederic Chopin and Krzysztof Komeda, it's truly refreshing to hear some musicians turning the attention to other great Polish composers, like the sensational "Experiment: Penderecki" released recently by pianist Piotr Orzechowski or the new album by the superb RGG trio performing the music of Karol Szymanowski. This music is very different, but also very interesting and no less challenging intellectually. An absolute must to all piano, solo piano and Jazz-Classical Fusion listeners everywhere. This is a heartwarming piece of music, which is a balsam to the ears, weary from the noise that surrounds us all. This album was released on a new Polish Jazz record label, called V Records, steered by the producer Adam Domagala. I look forward impatiently to hear the future releases by this label and in the meantime wish the best of luck with this admirable project to both maestro Stankiewicz and his producer. Marcin Masecki - still young, in his thirties, a graduate of famous Berklee College of Music - has already gathered experience so unbelievably rich that it makes him personality absolutely unique on Polish music scene. In his teens he presented himself to the audience as prodigiously talented pianist employed by some of Polish best jazz musicians. He collaborated with such great players as Andrzej Jagodziński or Zbigniew Wegehaupt of older generation and also some of most successful of jazz musicians from younger one like Grzegorz Piotrowski (Alchemik's "Dracula in Bucharest") or Wojtek Mazolewski (Pink Freud's "Alchemia"). He summed up this period by releasing in 2006 the album "Live at Mińsk Mazowiecki" in so-well known jazz trio format with Garth Stevenson on double bass and Ziv Ravitz on drums which was easily one of the best mainstream recordings in last decade in Polish jazz. After he had built for himself position on local jazz scene that many could only dream of, still being very young in his twenties, he became disillusioned with so-called mainstream and turned himself entirely toward avantgarde with - yet another surprise - occasional excursions toward indie or even pop music (Paristetris). Of particular interest are his piano solo projects ("Bob", "John" and "Die Kunst Der Fuge") and works for orchestra. The first of latter was "Chopin Chopin Chopin" (2011) in which as in the lens were focused all features which makes music of Masecki so extraordinary: superb level of performance, child-like enthusiasm but first of all a total originality of his musical ideas which he builds upon as much jazz as classical music foundations. "Polonezy" could be justly seen as continuation to this very successful project. The size of orchestra has become a bit expanded but musicians taking part in recording of "Chopin Chopin Chopin" were kept on crucial positions. But most importantly the music on "Polonezy" retained the adventurous spirit of this first record. No labels can describe appropriately what awaits you upon listening to this disc. The mixture is so bizarre, yet simultaneously so fresh and coherent that the listener can only choose between love and hate towards this music. 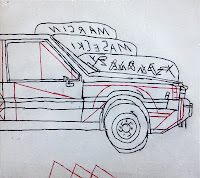 For Masecki there is no way in-between, no compromises, no prisoners taken. But if you are ready to check how would sound Chopin when played by Monk accompanied by auto-ironic swinging military band then you will probably end up being as much awed as I am after the consecutive rehearsals of this outstanding material. This is the second installment in the excellent archival series documenting Polish Jazz created in the country's Tricity on the Baltic Sea, one of the important centers where Polish Jazz thrives and over the years produced numerous first-rate musicians and superb bands. The series presents material, which in most cases never previously appeared in any form and therefore is of immense historic importance. This chapter presents the Rama 111 ensemble, which is now almost completing five decades of musical activity, having toured extensively worldwide. The group was founded in 1966 and exists to this very day, but unfortunately never managed to record even one album under their name (they did record with the Polish Jazz vocalist Marianna Wroblewska), which sadly was the fate of many Polish Jazz artists during the Socialist regime. However they did record for the Tricity Polish Radio station in Gdansk, where all of the material included on this album comes from. 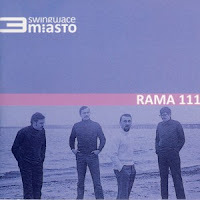 Rama 111 changed musical directions over the years and in retrospect covered a wide range of styles, from modern mainstream, via Jazz-Rock-Fusion, Swing and even Dixieland. The recordings included on this album originate mostly in the early to mid-1970s, and present primarily their Jazz-Rock side, although the Jazzy side is much more dominant than the Rock elements. It was founded by keyboardist Jan Rejnowicz and over the years featured the following musicians present on this album: saxophonists Przemyslaw Dyakowski, Maciej Flont and Tadeusz Petrow, trumpeters Piotr Nadolski and Boguslaw Skawina, pianist Andrzej Nowak, bassists Eugeniusz Kadyszewski, Roman Skurzynski and Aleksander Sliwa and drummer Andrzej Sliwa. The group performed both their original compositions, mostly by Rejnowicz, which were truly excellent, as well as their arrangements of Jazz standards, also mostly by Rejnowicz, which were unique and elaborate. The radio recordings have excellent sonic quality and the overall level of performances is superb. This is another great piece of Polish Jazz history, which should definitely be told and preserved as part of the country's Cultural Heritage. Kudos to Marcin Jacobson for creating this series and keeping it going! This is the first installment in the excellent archival series documenting Polish Jazz created in the country's Tricity on the Baltic Sea, one of the important centers where Polish Jazz thrives and over the years produced numerous first-rate musicians and superb bands. The series presents material, which in most cases never previously appeared in any form and therefore is of immense historic importance. This chapter presents the Baszta ensemble, a Jazz-Rock Fusion / Funk outfit, which was very popular locally as it held the position of the house band at the local student club. The group was founded in 1976 and existed for about five years until the late 1970s, and unfortunately never managed to record even one album, which sadly was the fate of many Polish Jazz artists during the Socialist regime. However they did record for the Tricity Polish Radio station in Gdansk, where about half of the material included on this album comes from, the other half being live recordings from the student club, which was their residence. 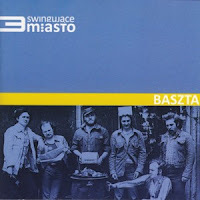 Baszta was one of few Polish Jazz ensembles playing "Horn Rock", i.e. horns oriented Jazz-Rock Fusion, similar to Blood, Sweat & Tears, Chase and many other ensembles representing this particular sub-genre. It was founded by trumpeter Edward Kolczynski and over the years featured the following musicians present on this album: guitarist Leszek Dranicki, saxophonists Jerzy Glowczewski and Zbigniew Kedzierski, trombonists Adam Ochocki and Stanislaw Suchecki, keyboardist Lech Wos, bassist Aleksander Sliwa, drummer Jan Rucki and percussionist Piotr Sapieja. The group performed both their original compositions, mostly by Kolczynski and some by Wos, which were first-rate, as well as their arrangements of Jazz, Rock and Pop standards, which were quite witty and intelligent. The radio recordings have excellent sonic quality, but the live recordings are somewhat low-hi, but still definitely worth listening to. The overall level of performances is superb, except for a few vocal tracks (among the live tracks), which is less appealing. ART OF IMPROVISATION Creative Festival is an international, interdisciplinary project dedicated to the broadly defined field of improvisation, emphasizing its richness, diversity and above all, openness. In ART OF IMPROVISATION there are taking part extraordinary artists for whom art is the living matter, and creativity, emotional development, personality, etc. are the basis of the creative process. Initially focused on the music, ART OF IMPROVISATION is widening formula and including performance, dance, theatre etc. In a simple meaning improvisation is an act of performing and creating at the same time. But first of all it is a multilevel communication. 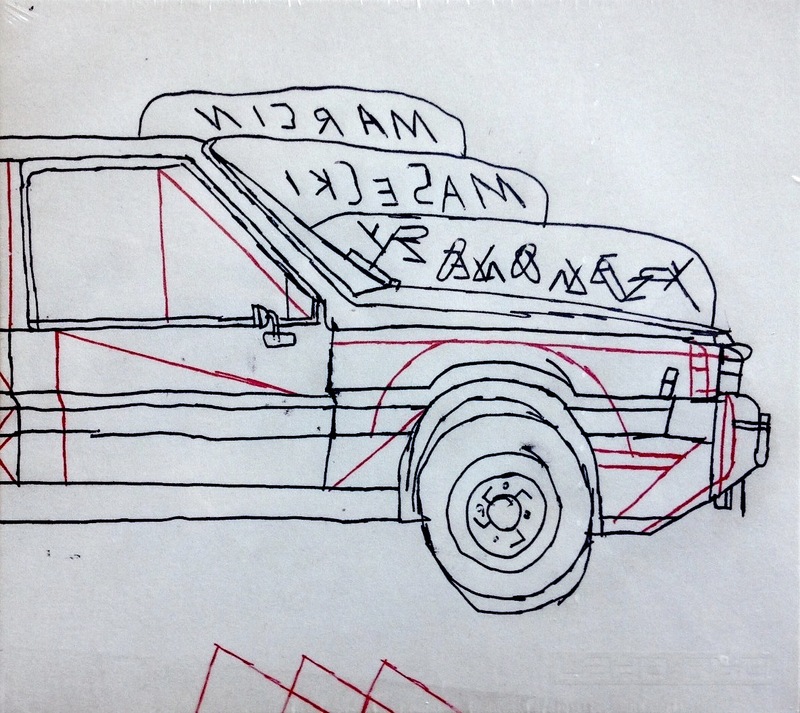 An artist communicates with himself, with his experience, intuition, imagination. While creating his piece he communicates with other musicians. Finally, he communicates with an audience. The result is not only a concert, not only music but a peculiar performance – in a modern depiction – or a ritual in a primary meaning. Improvisation is also a keyword and it can be used in different ways. It can be a constituent element of a composition or a goal in itself – a collective stream of consciousness. There are a lot of variations and as a result we can experience numerous music events both dynamic and colourful. After two succesful editions of ART OF IMPROVISATION Meetings (featuring i.e. the legendary Schlippenbach Trio and Axel Dörner – the main representative of reductionism ) this year, for the first time as ART OF IMPROVISATION Festival – we would like to invite you to unique concerts of exceptional bands that will show different aspects of improvisation. 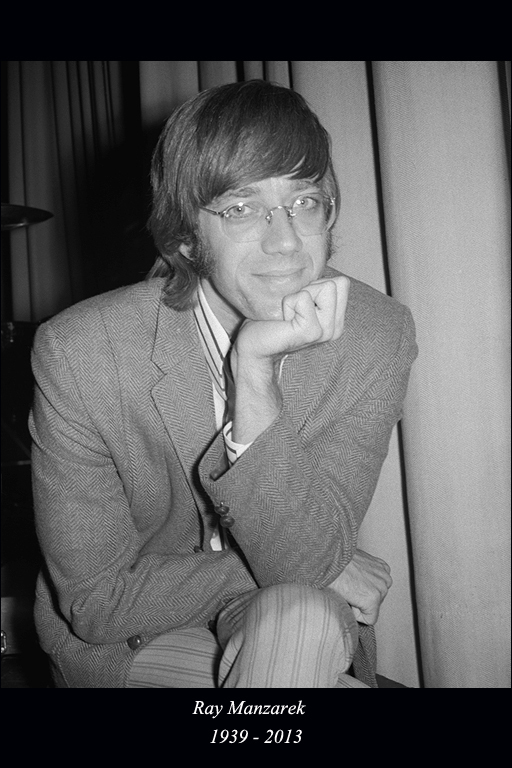 CHICAGO-- Ray Manzarek, the famed keyboard artist for The Doors, passed after a long battle with bile duct cancer. He was 74 and under treatment at a clinic in Rosenheim, Germany. He was surrounded by family. He became part of Rock-and-Roll history with his jazz influenced electric organ renditions for the historic band. It is reported that The Doors sold over 100 million albums. Born of Polish decent and attending Chicago St. Rita’s High School, his first real passion was basketball. After some piano lessons that didn’t thrill him, he embraced the Chicago jazz scene. He also earned an Economics degree from DePaul University. Manzarek was responsible for the left handed bass keyboard sound that became the unique signature of The Doors. He was in film school in 1965 at UCLA when along with Jim Morrison, they started their historic band. They enlisted drummer John Densmore and another friend, guitarist Robby Krieger. Because Manzarek did double duty with the keyboard they never had a bass guitar player. He also did some vocals on The Doors hit recordings. His silky keyboards on “Riders On the Storm” are now considered iconic and classic rock. His art set the distinctive musical sound of the Doors apart from everyone else. This L.A. underground sound made The Doors both national and global rock stars. Manzarek married Dorothy Fujikawa in Los Angeles on December 21, 1967. The band carried the baggage of controversy because of Morrison’s alcohol and drug use. Their 1976 performance on the Ed Sullivan Show was mired in giant television dispute because of a censored lyric. After Morrison’s death in 1971, the band eventually broke up. Manzarek and Krieger had a contentious lawsuit with Densmore about licensing The Doors’ name for commercial purposes. Manzarek also became an author, writing “Light My Fire: My Life with the Doors” in 1998 and “The Poet In Exile” in 2002. He also became a successful producer especially with Punk Music in California. The Doors were inducted into the Rock and Roll Hall of Fame in 1993. Manzarek also reinvented himself playing jazz club dates and some Chicago style Blues. He last recorded in 2010, a blues album with slide guitarist Roy Rogers. He was born Feb. 12, 1939 in Chicago and his real last name was Manczarek. He dropped the “c.” to simplify the spelling. In semi-retirement he had settled in Napa County. Manzarek is survived by his wife, Dorothy; a son, Pablo; three grandchildren and two brothers, Rick and James Manczarek. This is an album containing basically only blues music. Still it features some of the best Polish jazz players as guitarist Jarek Śmietana, keyboardists Wojtek Karolak and Paweł Tomaszewski, bassist Marcin Lamch and drummer Adam Czerwiński, so it is justified to write about it on this blog. Co-leader, along with Śmietana, is an Australian vocalist Bill Neal who occasionally also play some notes on tenor sax. Such a high-quality team produces of course very good music. They reproduce all time blues and rock classics from repertoire of such well known bands as The Animals, Fleetwood Mac or such great musicians as Ray Charles or Jimmy Hendrix. Most of these tunes Jarek Śmietana and Wojtek Karolak arranged for studio album of the latter titled "I love The Blues" and released a year before this disc. The time has comes for some assesement of this music. I believe it can be two-fold depending on which point of view you represent. If you treat blues (or jazz) as some definite form of music which is basically finished and shall be now copied (better or worse) by new generations then you should be very happy with this album. It sounds very well, even if nothing special distinguishes it from similar (or identical) one (or more) hundred other good blues albums recorded during last, say, century or so. However if you feel that blues (and especially jazz) shall be living form of music whose vitality depends on its ability to change to reflect the evolution of world around then it is rather depressing. No challenge, no innovation, no creativity - very well played but so well known that eventually boring. 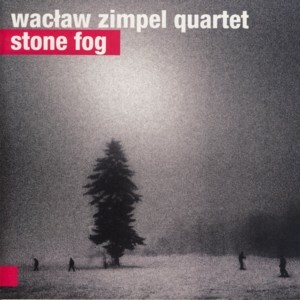 This is the debut recording by the quartet led by Polish Jazz clarinetist / composer Waclaw Zimpel with his countryman pianist Krzysztof Dys and two German musicians: bassist Christian Ramond and drummer Klaus Kugel. The album presents eight compositions named using lines from poems by the US poetess Laura Winter. Three of the compositions are credited to Zimpel and the remaining five are group compositions. Despite his young age (he was 29 years old when this music was recorded) Zimpel is already considered as one of the most important upcoming Free Jazz / Improvised Music figures on the European scene. In the scope of the last decade he managed to cooperate with many first-class musicians from Poland and abroad, play many concerts and record quite a few albums as a leader and as sideman, most of which were received enthusiastically by the critics. The clarinet, Zimpel's "weapon of choice", is sadly a much neglected instrument in contemporary music, avant-garde and Improvised Music included, and therefore his contributions are especially important, keeping the clarinet tradition alive. Except for the older generation clarinet Giants, like American Perry Robinson, Israeli Harold Rubin, French Louis Sclavis, Italian Gianluigi Trovesi and a handful of others, Zimpel's young voice is a fresh breath of air in this particular niche. As to the music on this album, I find it slightly less exciting personally in comparison to his earlier recordings with ensembles like Undivided or Hera. 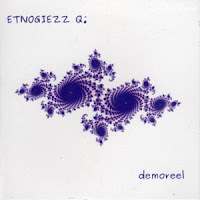 Not that this album lacks anything in quality and power of expression, but perhaps it is less based on incorporating World Music motifs, which Zimpel excels at. This album firmly belongs to the "traditional" Free Jazz / Improvised Music milieu, if the word "traditional" applies at all in such cases. But regardless of my personal preferences, this is excellent music from start to finish, performed with passion and masterly ability, by all four musicians involved. The rhythm section provides exceptional backing, moving swiftly between almost swing to free form, Dys on piano spreads layers of twisted harmonic structures and Zimpel, as usual, plays the role of the of Hamelin's Pied Piper, snake charmer and a Hassidic Klezmer, all in one. Most connoisseurs of Free Jazz will find this music very interesting and aesthetically enchanting. The album was released by a new Polish label called For Tune, which seems to be specializing in "unconventional" musical projects, like this one. All the releases on the label have a distinct graphic design, which appears to be copying the early ECM, Hat Hut and other avant-garde labels following this path. Polish avant-garde Jazz fans know that this label is of course not the first of its kind, but the more the merrier. There is always place for good music and I wish the label a lot of success. Joanna Duda is well known for the audience as a pianist of Wojtek Mazolewski's Quintet. Five years ago no one would have thought that the punky-hairstyle Joanna is going to collect so many music creations & projects, published on her DIY produced LP "The Best Of". She grew up in a musicians family and she presents herself as composer, multiinstrumentalist, producer as well as classical music performer. You can hear all of her features on her debut album : you're gonna find there some romantic pieces of Maurice Ravel played in duo with Katarzyna Borek, as well as remixed Chopin's Polonaise A - major with some effects and analog instruments added. As an improviser, she explores huge range of options - you can find here some jazz harmony, funny melodies played on Wurlitzer electric piano or abstract sounds generated with analogue synthestizers (as in the example of J=J duo with Jan Młynarski ; you should check out their new album 2013ep ). 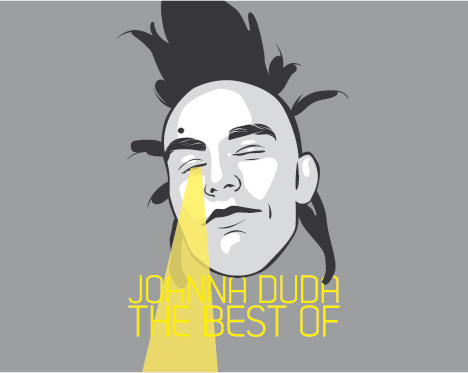 However "The Best Of" is not " the story of Joanna Duda" that I've been expecting. It's rather a disheveled (as her hairstyle) impression, a patchwork made of different "dudian" sounds. Joanna appears to the listener as a sensitive romantic, a laughing rascal, a piano virtuoso and a mad constructor experymenting with weird machines from some SF novels. After listening to the album, you have no doubt - Joanna Duda is simply the best! This is the fifth solo album by Polish Jazz pianist / composer Slawomir Jaskulke and his second solo piano recording. 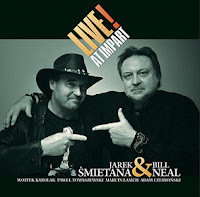 Jaskulke has been a dominant figure on the young Polish Jazz scene since the turn of the Century, participated in numerous projects and recorded over thirty albums, mostly as a sideman. This album presents eight original compositions by Jaskulke the composer, which all receive an extended treatment by Jaskulke the pianist. The immediate impression of the music on this album is quite surprising, especially to people who are familiar with Jaskulke's earlier recordings. It seems he went through a deep transformation over time, during which the Classical music influence won over his initial focus on Jazz, taking him towards new pastures. One might even quite seriously wonder if this music is Jazz at all; a serious question not about how to label this music, which of course is irrelevant, but how to react to it aesthetically. A sort of question one might also ask about the solo piano works of Keith Jarrett, where there is no clear answer to that dilemma. The music is melodic, lyrical and melancholic, with few, if any, rhythmic changes. After stating the melodic theme of each composition, Jaskulke enters a hypnotic, dreamlike phase of variations (rather than improvisations), returning intermittently to the melodic theme. Any listener, without prior knowledge of the artist involved, would most probably come to the conclusion that this is contemporary Classical piano music. Gone is Jaskulke's percussive attack on the keyboard, his long arpeggios and his youthful carefree chutzpah, all to be replaced by poise, introvert soul-searching and almost lethargic delivery. Obviously his excellent technique as a player is still very much there, but it is less dazzling and flamboyant. Are we talking about "growing up" I wonder, a wiz-kid becoming a celebrity? I have no answers only a lot of questions, but it seems a bit early in his career to "take it easy". At least the music is all beautifully recorded, with an incredible sound quality, ambience, balance, separation, etc. A Steinway and a superb recording engineer are always worth their cost in gold. This is (sound wise) as good as any ECM recording! I'm pretty sure this album will win many ecstatic reviews and make numerous listeners very happy. Good for them! It probably even deserves it; and it must be simply me looking for the imperfections of the universe. Talking of which I wonder is the fact that several albums I didn't fall head over heels in love with lately were all released by Universal Music Polska? A coincidence, one wonders? This is a live recording of a concert by veteran Polish Blues / Jazz / Rock vocalist Stanislaw Sojka (a.k.a. Soyka) and his band, performing songs by Poland's greatest ever singer / composer Czeslaw Niemen. Niemen composed all the nine songs performed here, three of which also have his lyrics and others are by other lyricists or poems written by Polish poets. Sojka also plays piano and the band comprises of seven players, including a brass section, and a guest guitarist Tomasz Jaskiewicz, original member of the band Akwarele, Niemen's first group, which recorded many of these songs originally. Considering Niemen's legendary status on the Polish scene, any attempt to tackle his material is a priori a potentially perilous affair. No other Polish vocalist managed, in the decades that followed, to come even close to Niemen's power of expression and vocal virtuosity. Therefore this album, although a tribute, faces enormous challenges, which unfortunately prove insurmountable even to such an experienced and talented artist as Sojka. Niemen's songs needed to be rearranged quite radically in order to fit within Sojka's vocal range. 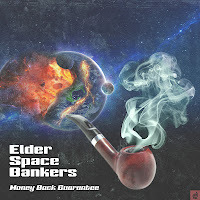 In addition the instrumental accompanied was updated, which distances the songs from their original Rock setting and places them into a comfortable middle-of–the-road relaxed Pop setting with slight Jazzy overtones. Overall the album sounds incredibly nice, which of course is its key problem; Niemen's music might mean many different things to different people, but "nice" was never among them. The music is played perfectly and beautifully recorded, with a warm, clear sound quality, especially so for a live recording. The audio CD is accompanied by a DVD capturing the same concert, so the listener has a choice of just listen to or also watch the proceedings. Personally, I find little affinity for this project, which simplifies and even to some extent trivializes the original songs in my opinion, but I'm sure many others will find this a most pleasurable listening experience. Luckily I still have the original Niemen recordings to keep the memory alive and the fire burning. This Polish- Spanish collaboration is a next project of small yet active cooperative of young musicians from Kraków who are obviously enamored in freeimprov version of modern jazz music. What I have written with respect to their previous album "Live in Cracow" released in 2012 may very well be repeated here. The quality of this music can be measured by depths of collective spontaneity. It seems to me most sophisticated form of jazz of all and most difficult to accomplish successfully. Surprisingly it is often taken by young or poorly educated musicians. The result is often discouraging to audience which is confronted with meaningless cacophony. However when musicians start to read each other well this music can be very rewarding offering pleasures hard to met on so well trodden mainstream paths. This specific album shows many moments of such unrestrained beauty, in fact many more than on above mentioned their previous disc. It is clear that members of this band begin to resonate better one with each other, to harmonize, to have the common goal. The music is therefore more coherent, truly captivating, even if somewhat challenging to listener. But with freeimprov such a challenge is all this kind of music is about and I definitely do not regret to be confronted with it. On contrary I feel intrigued and will be waiting impatiently to listen what their next step will be. As this CD clearly shows that they are on right track as far as this project is concerned. This is a brilliant debut album by the young Polish Saxophonist / composer Krzysztof Urbanski and his quartet, with pianist Pawel Tomaszewski, bassist Michal Baranski and drummer Tomasz Torres. The album presents seven compositions, five of which are his originals and two are standards. From the fist note it is quite apparent that Urbanski is not just one more upcoming saxophonist on a scene overflowing with young talent; he has star quality which is unmistakable. Although the music on this album fits well within the classical Jazz convention (and I'm purposely avoiding the term "mainstream", which unfortunately over the years becomes more often than not associated with mediocrity), Urbanski manages to find very early in his career a very individual tone and approach, which happens very rarely with young players. It is obvious he is capable of reaching beyond the obvious and daring without apprehension, as evident herein for example on his treatment of the two standards, especially the John Coltrane's "Giant Steps", which he in a transfixing way manages to turn upside down rhythmically. Urbanski the saxophonist is truly something else; his beautiful tone, which in its gentle and sweet manifestation is somewhat similar to Stan Getz and on the more energetic side to the young Wayne Shorter. Anybody in doubt should simply listen to the solo saxophone track on this album to comprehend Urbanski's qualities. The five original compositions also prove a maturity one hardly expects to find in young Jazz composers. His melodic, harmonic and rhythmic vocabulary spans the Jazz tradition and presents elegant, intelligent and highly aesthetic listening experience, which simply grows with each listening session. Very worm words of praise also go to the superb rhythm section, which enables his to spread his wings but also contributes some excellent moments on its own right, with interesting solos and fabulous team work throughout this album. Tomasz Torres, the son of the legendary Polish (of Cuban origin) percussionist Jose Torres, pushes the quartet with beautiful polyrhythmic and Afro-Cuban influenced drive. Michal Baranski is already a household name on the Polish scene, known as one of the best new generation bassist in the country and his beautiful work on this album reflects his amazing talent. Pawel Tomaszewski also managed to establish quite a reputation despite his young age, with numerous recordings behind him. His solos on this album are simply top class, and his support of the leader is simply perfect. This is definitely one of the strongest debut albums released on the Polish Jazz scene in recent years, deserving a much stronger applause then it received in actuality. Urbanski is definitely someone to keep an eye on. Wholeheartedly recommended! 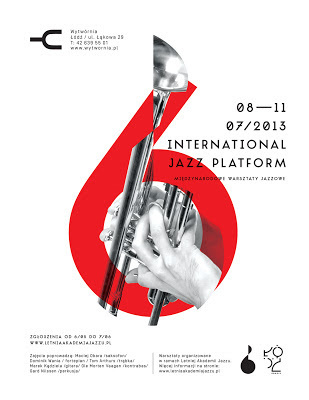 Intl Jazz Platform is an international educational project, organized within VI Summer Jazz Academy by the Wytwornia Foundation, which gathers creative artists interested in developing their improvisational skills and looking for inspiring conditions to create and express their own music ideas. First edition of Intl Jazz Platform is organized from July 8th till July 11th in Lodz. It is a four-day master workshop for instrumentalists having individual musical aspirations and interested in modern approach to music. During these four days workshop's participants will have an opportunity to create music, share experiences and learn from each other. Programme prepared by the teachers consists of four days of intensive work in comfortable spaces of Wytwornia club and studio, of everyday instrumental classes and classes in small ensembles with international musicians as well as evening meetings and jam sessions in club Wytwornia. The program also includes seminars with invited guests: jazz promoters and directors of jazz festivals. Teaching through experience, practice and breathing in inspirational environment are the main goals of organizers of the first edition of jazz creative workshop within VI Summer Jazz Academy in Lodz. Jazz is the music of community in which development comes from being around other musicians. Time spent together devoted to playing and talking about music provides a possibility of gaining unique experience and ideas for your own artistic path. The role of a teacher comes down to encouraging and supporting young students’ search for personal language, sound and inspirations. Musicians that are going to run the classes within the Lodz jazz workshop are known for their openness and readiness to initiate creative dialogue with students. Maciej Obara (sax), Dominik Wania (piano),Tom Arthurs (trumpet), Marek Kądziela (guitar), Ole Morten Vaagan (double bass), Gard Nilssen (drums). This is the fourth album by Polish singer / songwriter Krystyna Stanko, which marks an end of the initial phase of her career during which she tried to establish a unique identity, both as a songwriter and a singer. All through that phase she moved between Pop, Alternative Rock and even Jazz-Rock Fusion and recorded three albums with two different groups she was part of at the time and finally recorded this, her "real" debut solo album. The album presents twelve songs, eleven of which are original creations by Stanko (lyrics and music) and the last one is a tribute to the great Polish Jazz pianist / composer / arranger Andrzej Kurylewicz, who wrote this beautiful lullaby to the words of Polish National Poet Adam Mickiewicz, which was previously magnificently performed by the great Niemen. The album was recorded during two separate recording sessions, almost a couple of years apart. Stanko is basically accompanied by a trio: guitarist Jacek Krolik, bassists Piotr Zaczek (electric) or Piotr Lemanczyk (acoustic) and drummer Piotr Krolik with five additional musicians contributing occasionally on several tracks. In spite of this rather limited instrumental accompaniment, the overall result is beautifully coherent and sounds complete as it is. Her vocals are the focus of this album, and rightly so, as her vocal abilities, her intelligent treatment of the lyrics and her emotional range are all of star quality, in evidence of her coming of age as an artist and a vocalist. But the most amazing thing about this album is of course the quality of the original songs, all of which are excellently crafted musically and adorned by meaningful, sometimes witty and always sincere lyrics, which are extremely rare these days. Stanko doesn't hold back and dares to touch on painful subjects and deeply personal feelings about human relationships and even political / social issues, reminiscent of the protest songs of the 1960s. In complete contrast to the brainless lyrics the showbiz and media use to brainwash the human race, these songs really have something to say. In retrospect one might lament the fact that Stanko did not (yet) repeat this format, i.e. writing lyrics and music herself, in her next albums, hoping that this will be remedied soon. Her decision to move into the Jazz & Poetry realm is now completely understandable of course. This album lost nothing of its charm and freshness over time. It's probably less perfect than her later recordings, but who cares; this is a beautiful collection of superb songs, which should make any listener happy. Grab it before it disappears forever! By now, the cohort of musicians that revolutionized jazz in the ‘60s has pretty much vacated the evening stage (with the notable exception of Wayne Shorter). However, new generations of players who drank deep from that well continue to carry the flag of post-bop modality. Coherence Quartet is a worthy example of this phenomenon. They’re led by Robert Jarmuzek, a pianist-composer who draws inspiration from the masterwork of McCoy Tyner, and feature altoist Lukasz Kluczniak, a highly rated veteran with a searching style. 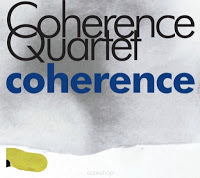 On their debut disc, "Coherence", the players (who also include bassist Marcin Lamch and youthful drummer Grzegorz Maslowski) lay down an hour’s worth of music that mirrors the strengths of the classic ‘60s John Coltrane and Miles Davis units, as well as Miles’ sidemen (particularly Shorter and Herbie Hancock) on the dates they led for Blue Note. On “530” and “Closerer,” Jarmuzek crashes oceanic chords while Kluczniak essays stellar scalar runs, the band gliding along with assured swing, fueled by Maslowski’s loose-limbed percussive thunder. 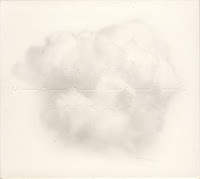 “Ecol” and “March” are ruminative pastels, reminiscent of the quieter moments on Miles’ "Nefertiti". “Opener” kicks off with a muscular ostinato from Lamch, over which Kluczniak sketches out the Shorteresque melody. The album’s finest moment is the closing “Kurkuma,” 15 minutes over which the four men use shifting colors and dynamics to create and sustain a mood of somber reflection. The existence of this trio, which released its debut album in 2007, speaks to the resurgence of Jewish Culture in Poland since the demise of communism there. Inspired by the pioneering work of ethnomusicologist Moshe Beregovski (whose work documenting indigenous musics in the Ukraine, Poland and Moldavia beginning in the 1920s is roughly analogous to that of John Lomax in the American South), the three musicians – guitarist Raphael Roginski, altoist and bass clarinetist Mikolaj Trzaska and drummer Macio Moretti – apply a free jazz spin to centuries-old Hasidic musical forms including negunim (wordless melodies) or freylakhs (meant to accompany dancing). In their intent, they are not unlike John Zorn’s Masada quartet, which plays Jewish themes as Ornette Coleman might have reimagined them ca. 1959, or Masada trumpeter Dave Douglas’ Tiny Bell Trio, a unit whose instrumentation Shofar mirrors, which reinterprets Eastern European melodies in a free jazz manner. The three collaborators in Shofar come from diverse backgrounds. Guitarist Roginski, who divides his time between Warsaw and Tel Aviv, has also explored Jewish themes in the ensemble Cukunft, but his musical interests range from early blues players to ‘60s rock, from Bach to idiosyncratic American composers Harry Partch and Henry Cowell. Reedman Trzaska, who runs the Kilogram label with his wife, was a founder of the important ‘90s group Milosc, which released two albums with American trumpeter Lester Bowie. His collaboration with brothers Marcin and Bartolomiej Oles yielded the seminal 2002 album Mikro Musik. Drummer Moretti, a graphic artist and label impresario as well as a musician, was a member of the disco-metal fusion outfit Baaba, played bass in the grindcore band Antigama, and drummed in “Eastern country” unit Mitch and Mitch. On the opening “I Can See By My Nose,” Roginski employs a brittle, wiry tone that contrasts with the vocalized sound of Trzaska’s alto. Behind them, Moretti provides responsive support, utilizing a varied percussion palette with sensitive restraint. After a lengthy opening exposition in which he and Trzaska intertwine sinuous lines for a couple of minutes, Roginski embarks on a solo in which he explores the contours of the melody in detail. 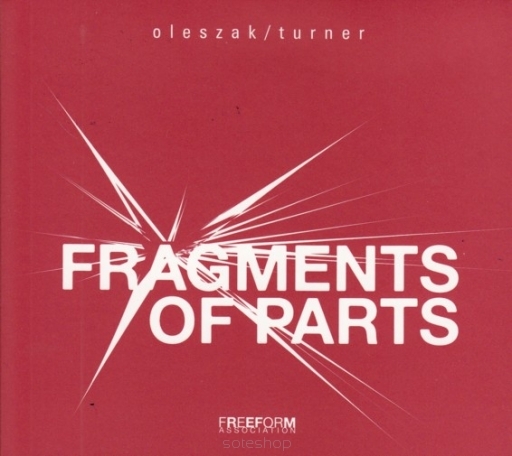 Then Trzaska sings an agonized lament, based on the same intervals. Gradually they wind down, Roginski’s staccato bursts of notes ricocheting around Trzaska’s soulful wail. On the first two of the three “Traditional Hasidic Melodies”, the two tonal instruments essay the themes in unison, then create abstractions around them. “Traditional Hasidic Melody III” has an almost blues-like feeling (except for the flat 2nd); one can imagine Don Cherry building a multicultural symphony around such material. Here, Roginski and Trzaska play the melody straight, only varying their dynamics while Moretti responds with a mounting intensity. On the closing “Diner With Giant,” Roginski strums rapid-fire choked chords while Trzaska unleashes keening multiphonics against Moretti’s splashing cymbals and clattering drums – an exorcism for the ghosts of the pogroms and the Holocaust. “Think Better About Germans” sounds like a prayer for closure – a somber and reflective theme, with Trzaska on bass clarinet. There’s humor here as well. “You and Cookie = Happiness” features anguished, wordless vocalization that could be a carryover from Moretti’s grindcore days – or an invocation of Sesame Street’s Cookie Monster. 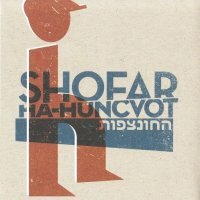 On Ha-Huncvot, Shofar covers the whole gamut of human emotion with an attractive musicality that invites repeated listening. This is the debut recording, sort of a demo presentation, by a Polish ensemble Etnogiezz, founded and led by bassist / composer Alicja Szczypta, who is also involved with several other musical projects in parallel (the energy those young people have…). The ensemble also includes vocalist Milena Szymanska, trumpeter Michal Blonski, keyboardist Michal Cywinski and drummer Nikodem Wojtkiewicz. The EP presents four tracks, all based on folklore tunes, transformed into what the Szczypta describes as "strange music mixed with folklore". The most striking feature of this music, in addition to its intrinsic musical "strangeness" is the usage of the Kashubian language, which is a dialect spoken by the people of Kashubia, a northwestern province of Poland bordering with the Baltic sea. It is the only ethnic tongue which is formally recognized in Poland as a regional language (in spite of the fact that many such ethnic tongues exist in Poland). Kashubians make many efforts to keep their unique ethnic identity and heritage alive, and this EP is a great example of such activity. Listeners, who like experimentation and unusual approach, strange chords and even stranger tongues, will find this effort absolutely fascinating. Warmly recommended!